A 15-story hotel will be coming to UChicago’s campus on the corner of 60th Street and Dorchester Avenue. Images of the 180-room hotel along with updated plans of the Rubenstein Forum were announced at a presentation from a meeting last Wednesday night. According to DNAinfo, University officials have mentioned the need for nearby hotel options as the Rubenstein draws academics to the area for conferences. The hotel, which will be named “The Study at the University of Chicago,” will include a 1,500-square-foot fitness center, 2,200 square feet of meeting rooms, and an 85-seat restaurant and bar, according to slides from a meeting hosted by 20th Ward alderman Willie Cochran. Development of the hotel is expected to create 150 permanent jobs and 250 construction jobs. The new hotel will be built on 70,000 square feet of land and will replace the vacant colonial-style Hyde Park Day School building. “While the hotel is being privately developed and will not be owned by the university, like many other buildings on our campus, it will include amenities that serve both the university and the larger community,” University Director of Communications for Civic Engagement Calmetta Coleman said in a statement to DNAinfo. Coleman added that the University was not releasing when the project would start or what it was expected to cost. The Study will be the first building on campus dedicated strictly to a for-profit business. The hotel will be developed by the New York City-based firm Hospitality 3, and be part of the firm’s brand of college-based “Study Hotels.” Hospitality 3 has two existing hotels at Yale University and in the University City neighborhood of Philadelphia—each hotel featuring contemporary-styled boutique decor inspired by their respective campuses. The Study will be roughly two blocks away from Jackson Park, and is poised to be the most convenient lodging option for the Obama Presidential Center. 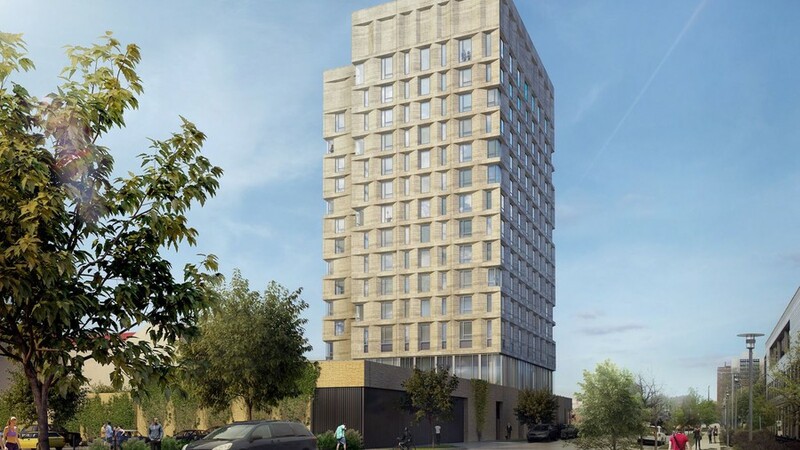 Another hotel, a nine-story boutique hotel by Olympia Companies and Smart Hotels, has recently begun construction at 53rd Street and Dorchester Avenue and is slated to open next spring. The hotels are some of the many recent development proposals in the Hyde Park area, which include new apartment buildings and stores.